I will approach this with a renewed spirit, not going to let the WordPress issues screw up another good day. There have been severalemails that we have had regarding the Dracula Castle. And yes, there are 2. A tourist version which is Bran Castle in the village of Bran. History tells us that Vlad Dracul spent all of just 3 days at this castle. Then there is the real Vlad Dracul Castle on the south facing slopes of the Grans Fargaras. There is a point where you cross a huge dam that crosses a pair of opposing rocky mountain faces, the surrounding area is very steepand ro ky. Its here tnat our Vlad the Impaler of Dracul fame actually made his home. 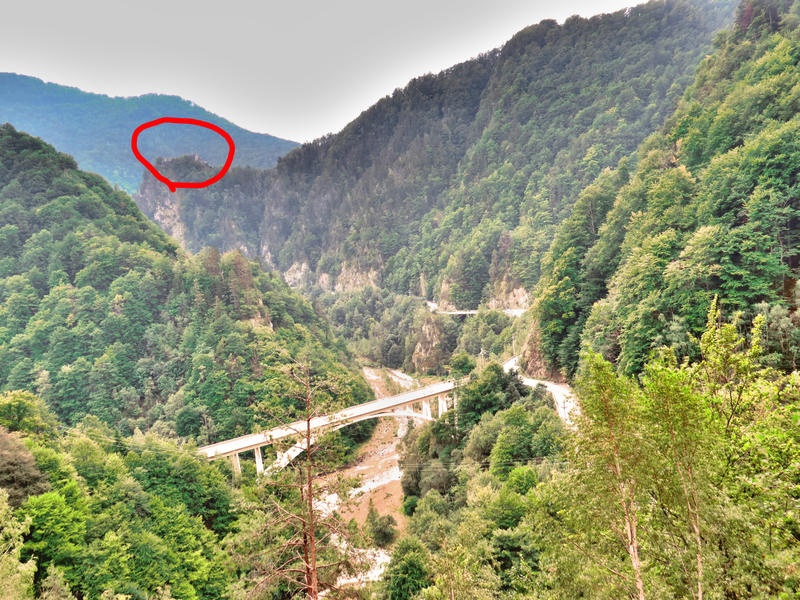 This castle can barely be seen within the red circled area in the photograph shown. The only way into thecastle is from that upper ridge to the right of the castle. If per chance you tried to approach from the bottom ylu would need to have Sir Edmond Hillary with you. 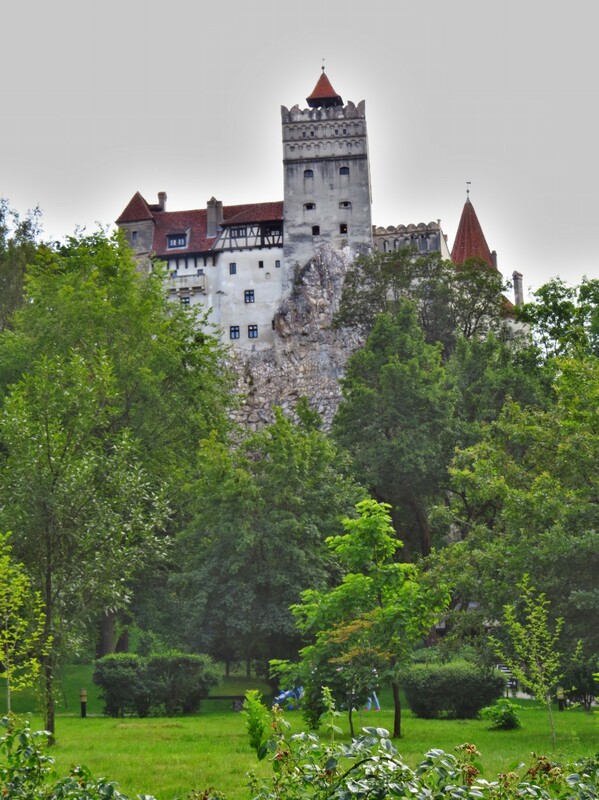 This entry was posted in Uncategorized and tagged bran castle, dracula, vampire haunt, vlad the impaler. Bookmark the permalink. Hey girl, didnt i nail it 2 years ago when i told you i thought you had put the wieght on!!! Oh yea, oh yea.congrats to you both, itwill be the greatest life choice made so far, and cute as a bug (who ever thehell came up with expression?) Cant wait to hold onto the new one. Stay healthy, and be a blessing. Yes donna, that is wrong and cruel to think in that manner. For repentance i think you should volunteer to roto-till your nieghbors garden…..lol.a part of me would like to just keep going, but the mechanical parts of me are begging to grind and sqeak. Thanks for following along. Friend Jeremiah … I have been following your story . I am so pleased that your close encounter of the diesel kind was no closer !! Thank God you weren’t IMPALED on a spring shackle or a tie rod !! far away from a mystic character. And, by the way, as far as you still see your mirror-image nothing went wrong in Transsylvania.